Sumatra has many rivers to cater towards any level of whitewater rafting conditions, from beginners, intermediate or professionals only. Whitewater rivers can be descended by inflatable raft, or kayak or canoe through adrenaline pumping rapids and between gentle glides across some of Sumatra's finest and wildest scenery. Only a couple of hours away from Medan there are some excellent opportunities to enjoy the thrills and spills of whitewater rafting. Other rivers in the interior of Sumatra are world class. The Whitewater rafting World Champions were held in Sumatra in November 2002. There are many rivers in North Sumatra, 2 of which can be tried by anybody between the ages of 16 and 60 and in normal physical condition. The Asahan River in North Sumatra is feed by Lake Toba. The river begins at Porsea with the impressive Siguragura Waterfall 220m high. White water rafting on this river can be arranged at the many travel agents offices in Parapat. The Asahan River is 60m at it's widest. The Alas River, 165km long is located in Aceh and North Sumatra, travels through the Gunung Leuser National Park. Trips for white water rafting can be arranged here. The Bingei River, only a couple of hours from Medan, is fine for beginners, although it still has a long string of rapids up to grade III - grade IV in high water conditions. The flow of the river is quite sustained as it enters a canyon and the rapids are almost non-stop. It culminates with a 3 meter "Dragon's tongue" drop on the right side of the river, (but this can be avoided by going left). The decent takes a minimum of three hours, according to water conditions, through a succession of dramatic landscapes until you reach the carpet of rice fields surround Namo Sira-sira. 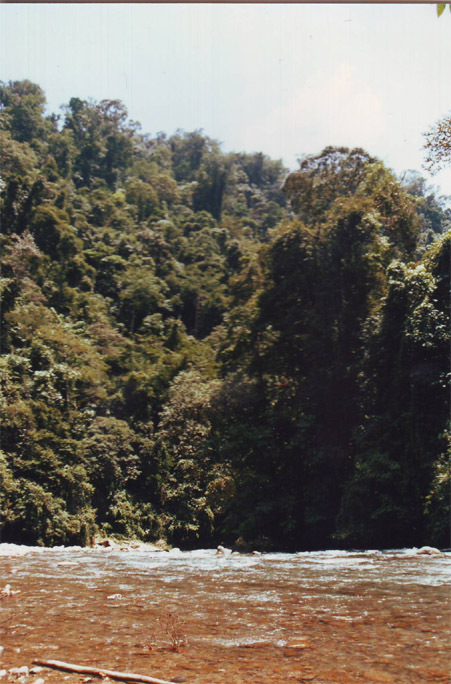 The Wampu River, which flows near Bukkit Lawang is also an excellent introduction to whitewater rafting and to the dramatic Sumatran landscape, with excellent opportunities for spotting wild life along the way. From the moment you enter the boat it is non-stop rapids for the first hour as the river enters a canyon, and as you leave it there are hot springs for a warm bath. From here the rapids progressively calm down after passing "Waterfall" (Grade III) for you to start to enjoy the serene environment of Leuser National Park, with views stretching into the distance. The Bohorok River. 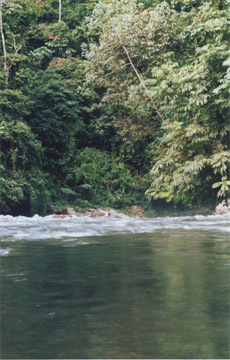 This river travels down through the Gunung Leuser National park, running past Bukit Lawang and Bohorok. 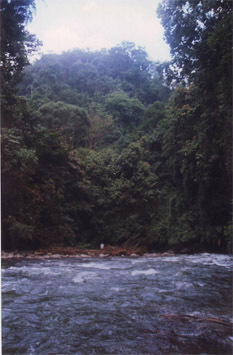 The Ketambe River joins the Alas river in the Alas Valley in North Sumatra. Travels through the Gunung Leuser National Park in North Sumatra. The Riau Province has 4 of the largest rivers in Sumatra, the Rokan, Siak, Kampur and Inderangiri Rivers, ranging from 300 to 550km long. The Sungair Way Kanan River journeys through the Way Kambas National Park in Lampung, South Sumatra. The Musi River, runs past Palembang city. At it's widest it is 600m wide.